More information: French symphonic metal opera. Crossover appeal to fans of power, black, and death metal, and features a cast of high profile guest vocalist and musicians. MELTED SPACE is the creation of classically trained French composer Pierre le Pape. The new MELTED SPACE album, The Great Lie, features an array of prestigious and unexpected singers, joined by seven talented guest musicians and The City of Prague Philarmonic Orchestra. 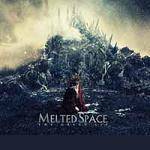 MELTED SPACE stands as the first French metal opera boasting the air of a huge choral fresco, uniting musicians and singers from the international metal scene. Powerful metal meets the refined essence of movie soundtrack-style movements. For fans of Within Temptation, Dimmu Borgir, Epica, and other similar artists.